Apparently I am late to the party, but I'm so glad I discovered it. It's a website where you can design your own fabric, have it printed, and then order yardage. You can design your own fabric, have it printed, and then order yardage. Somebody just said: "I'd like a retro print in lime, coral, and aqua, with little TVs and big loopy circles." And that's what they got! This one is called, "Say Goodnight Gracie," which is the best fabric name EVER. I bumped into Spoonflower accidentally and coincidentally when I was in the middle of some angst about fabric choices concerning curtains. I like to make my own, because then you get something that's made to fit the window, and in the exact design that looks best (within reason. I've yet to do pinch pleats, though I'm considering learning). I'm very picky. Pattern, color, whatever. It HAS to be just right. And I have this theory that you really have to love the fabric you're sewing with, or you're not going to love your house when you look at those windows. I detest choosing fabric on the "well, this was the best I could find" proposition. ARGH. And where I live, there's a lot of that. Not a lot to choose from. Right now we're about at the half way mark with my kitchen. The cabinets are completely re-finished and the new appliances and countertop are in. I guess I should say the most expensive and time consuming things are in (you'll get an update sometime in the future). But at some point in time, paint and curtains are going to come to my 1970s era kitchen built on to my 1930s house. But the curtains on the sliding glass door are some sad, limp, dirt beige tab tops from Target. They've stayed there for lack of time to address the situation, and a continuing need for some privacy from the backyard neighbors. Here's a photo. Please excuse the quality, but I guess "before" photos are supposed to be bad, right? I see these every morning, and they make me want to go back to bed. 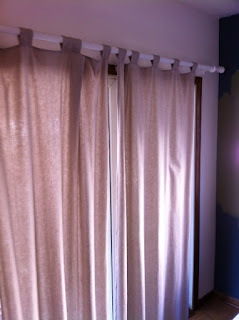 Let's get this out of the way: I have something against tab top curtains. I've NEVER liked them. 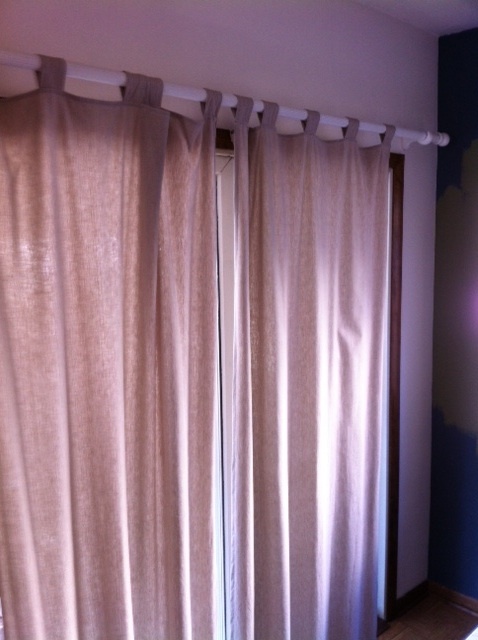 They just look like the manufacturer was too cheap to make a proper casing for the curtain panel. I know that's not the point. The point is that it's a stylistic choice but one that, for whatever reason, my eye rebels against every time I see them. We have fruit, chickens, flags, daisies, artichokes, and (not pictured) mustard pots. We got it going ON. At Electic Revivals on Etsy. But there's frequently not enough yardage of any of them to make a whole curtain, or even a decorative border. Apparently this was the very dilemma of the people behind Spoonflower, who thought it'd be neat-o if they could just design their own fabric for, you guessed it, curtains. You can upload your own design, choose your scale and colors AND the type of fabric you want, and place a print order. You can order test swatches, which are $5 each. You can also order the fabric designs of others. This isn't cheap; at $18 a yard you need to know you love what you've ordered. But then again, for customizable fabric I thought the price was actually quite reasonable, compared to the high prices on some to-the-trade decor fabrics. The other appeal of Spoonflower is that obviously there are a lot of designers, crafters, homeowners, and sewers hungry for retro design fabric. The site has GOBS of really great stuff. The variety and color selection of already-designed retro fabrics is STUNNING, so if you aren't really creative enough to design your own, you've got loads of options. You can tell that a lot of incredibly talented people have gone nuts on this site, and they've come up with truly beautiful and unique fabric designs. 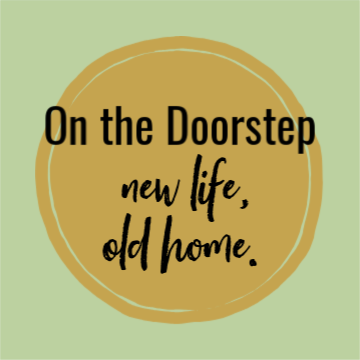 They also have a blog, design theme contests, and craft project panels. As you tell, I'm geeked. GO check this site out.